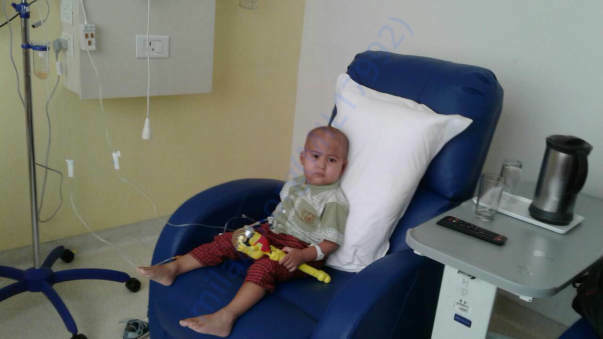 Devangshu a 3yrs old child in a small middle class family has been struck by Leukemia of a type known as PRE B-CALLA ALL and is under the surveillance of Dr. S P YADAV. 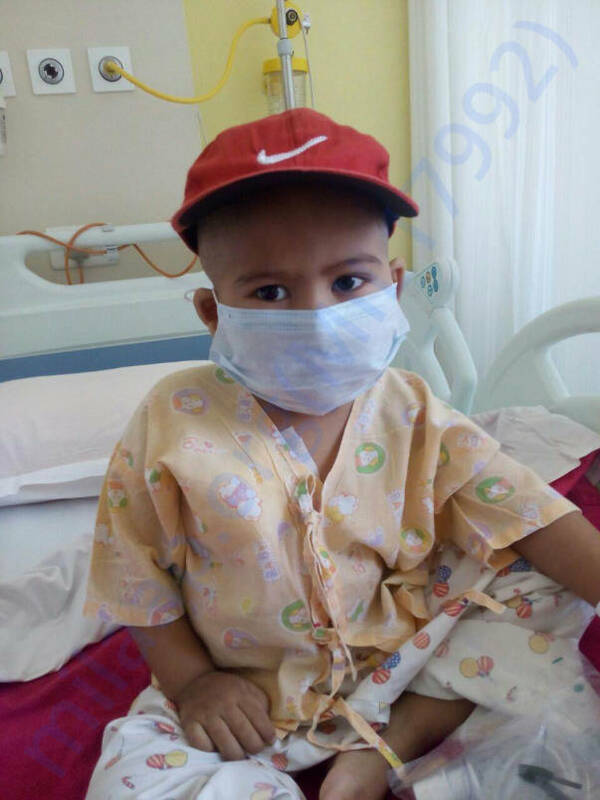 He is being currently treated in Gurgaon and undergoing Chemotherapy in Medanta The Medicity Hospital. 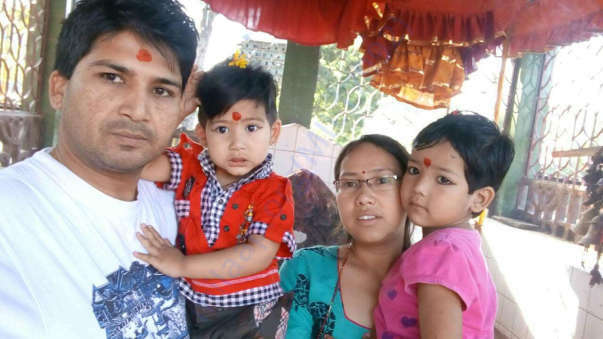 The family from a remote place of Nepal have travelled all the way to India with a faith to save their Son as there are no good arrangements of the treatment available in their place. It all started with Petechiae Rashes, was being investigated by local Paediatrician and later the reports showed that the platelets, WBC, RBC count dropped drastically. Till date, he has undergone 9 chemotherapy sessions and the progress is very slow. The cells have not subsidized and hence need for advanced dose of chemotherapy along with antibiotics is required. The case seems to be risky and could prove to be dangerous as well. The family is very simple middle class family wherein Devangshu Father Santosh is working as Salesman and mother Surina is just a housewife along with 5yrs old Daughter Shahista a preschool baby and is presently with her grandparents at Nepal who is curious to understand what happen to her small brother Devangshu and when can she play with him. 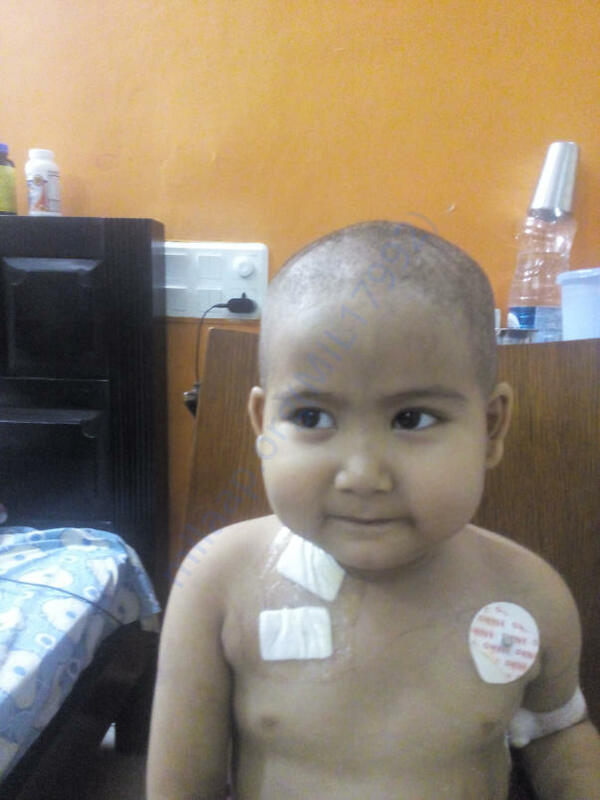 The Family has been spending a lot every day, as the medicines, chemotherapy, bone marrow test, Dr's fees are all costly..
We at NDCHRC would request you all to please help us in raising funds for his treatment so that we can try our best and make things possible as The family have travelled all the way to India from Nepal with a faith to save their Son. Devangshu is a very cute boy hardly 3yrs old and We would love to see him grow normally like other kids and enjoy his life. 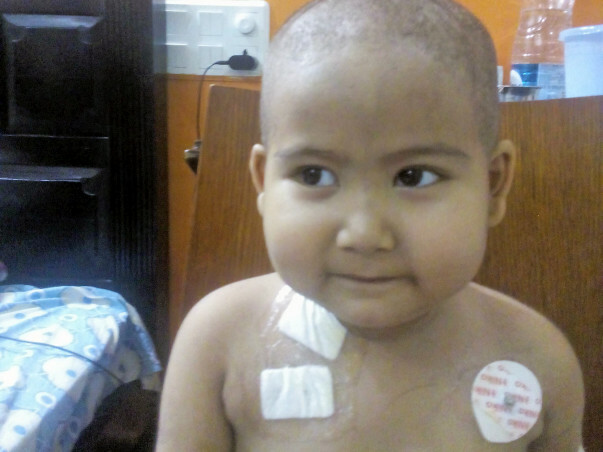 It is very heartbreaking to see a small Kid take chemotherapy but we have to count on Science. Alongwith, everyone is praying and asking God for support. We thank you all for taking time to read. 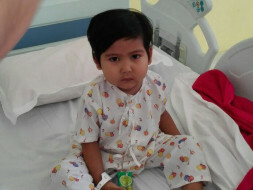 Please support & share to the max and help the kid to get back to his normal life. 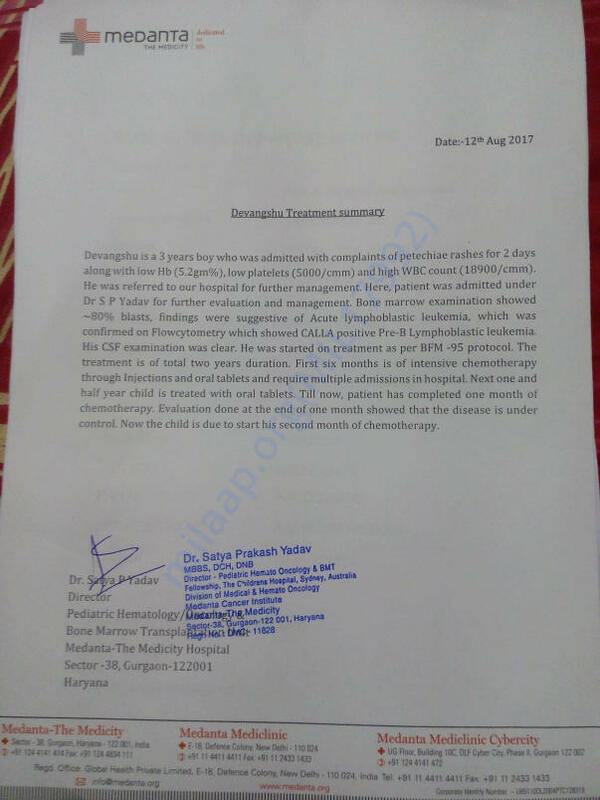 I am very happy to share that under NDCHRC our Devangshu from Nepal who was getting treatment for Cancer got discharged today as he is fine and can go home and that he will visit India only on an emergency case for the next 1yearr. I am very happy with this news and proud that we at NDCHRC supported with the support of Milaap to him. Love ❤u Debu. GOD bless u Debu with good health and happiness. He is doing fine as of now and maybe in another 1month should get discharged and will go back to his hometown Nepal to play with his elder sister waiting for her. His next date of treatment is on 6th of February. Keep blessing him for fast recovery and early. Discharge from the hospital. Here is an update on Devangshu. 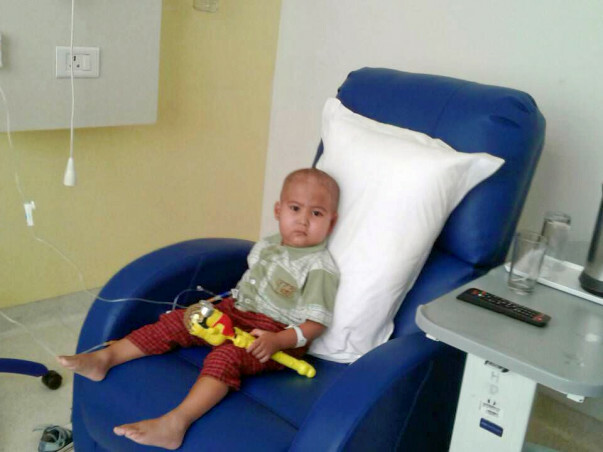 Devangshu is co-coordinating well with the treatment and he was discharged yesterday with a note to come again on this Friday for the chemotherapy and other examinations to be done on him. 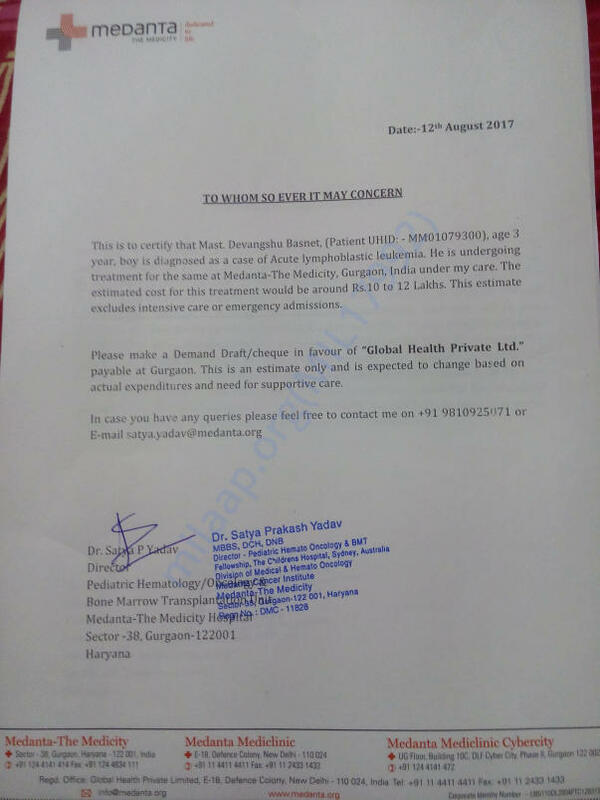 The best part is Doctor has told the family that its just a matter of 2 months and our Devangshu will go back to his hometown.